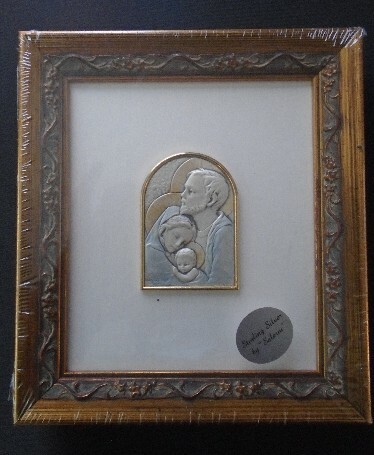 Sterling Silver picture (made in Italy) in a gold frame. Original retail price $39.95! A very beautiful gift. 6 1/2 " x 5 3/4" (This picture does not show how lovely it really is!) A fine gift for an anniversary or wedding.